Nox App Player: Many of us enjoy running variety of apps and games on android phones. 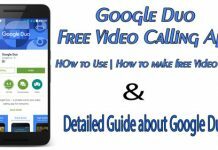 You don’t have an android phone and want to use the android apps on your PC or Mac. Are you looking for a solution to this? Then here we are providing the best solution to use android apps and games on your PC and Mac. Nowadays there are many people who like the Android platform. 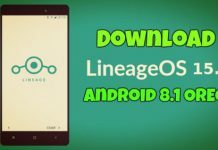 The Android OS is the best because of its features and easy usage. Many people want to use android apps and games on their PC or Mac. The emulator is software which turns the PC or Mac to use as an Android device. There are many android emulators available with different android versions. These emulators turn your PC and Mac into an Android interface and can download android apps and games on PC or Mac. 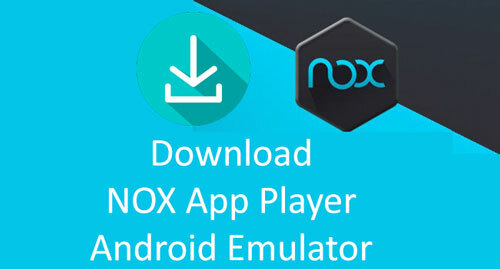 Nox App player is one of the most popular android emulators. This emulator is available for both Windows and Mac. Nox App player emulates the Android operating system and allows running any android apps and games on PC or Mac. The emulator is best because of its excellent features and its interface. The interface of this emulator looks as it is like Android platform. You can download any android app or game from Google play store. Nox is quite fast as compared to many other emulators out there. The developers of Nox have used the most advanced engine to ensure great performance experience. You can run any android game or app on Nox and you won’t be disappointed. It gives you a very smooth experience. Nox is completely free of cost in spite of being heavily loaded with tons of features. You can download it on any Windows or Mac computer. Nox is the special favourite of the mobile gamers. They get to enjoy their favourite games on the bigger screen of the computer. Nox App Player is available for Windows PC and it is available for Windows versions of Windows 7/8/8.1 and 10. The download and installation of this emulator is very easy and the latest version of the software is Nox App Player 5.0. First here we are providing the steps to download Nox App Player for Windows PC and later we will provide steps for Mac. First open any web browser on your Windows PC. Now visit the official site to get the download link. The size of the file is approximately a 280MB so it takes some time to complete the download process. Wait for the installer to download. After the download, the file is completed there is a need to run the file to complete the installation process. Search the folder where you have downloaded or saved the installer file. Double click on the file to launch the installer and a small window will open. Now select “I have read and accept Nox License Agreement’. Now click on “Install” button on the screen. If you want to change installation click on Custom button which is on bottom right of the screen. Now here we are providing steps to get Nox App Player for Mac. You can download the emulator very easily. Launch any web browser and visit the official site to get the download link. Click on the link and the file starts downloading. The file will be installed on Mac in the DMG format which is Mac supported. The downloaded file is of bigger size and it is nearly 370 MB so it takes a while. After downloading the installer you need to run it and install Nox on Mac. So by following these steps you can get the Nox App Player on your Mac. By following the above steps you will be download the Nox App Player for Pc and Mac. Now here we are providing steps to how to use Nox App Player. If you are launching this for the first time since installation, you will come across a series of screens with instructions on different aspects of the emulator. Just keep tapping next until you see Nox Home screen. 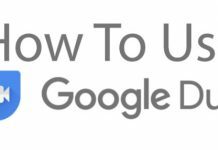 Now you will need to sign in with your existing or new Google ID to use all the features. After signing in you can download android apps and games. That’s all about Nox App Player for Windows PC and Mac. If you like this post share on social media sites like Facebook, Twitter, Google+, WhatsApp and Pinterest. Stay connects for regular updates. Thank you for watching our site.